We empower future leaders to become authentic stewards of all creation by providing a unique and challenging introductory experience through fishing and boating in remote Alaska. NOCP offers a unique hands-on ocean fishing experience for youth ages 16-30 in remote Kodiak, Alaska. Come experience God’s love through nature, cultivate character and confidence, and acquire skills to make your unique contribution to Ocean Tribe. The entire program is designed to help participants connect to Father and Mother Moon’s heart and love for the ocean and ocean providence. Through internal guidance and connecting to True Parents' words and experience, participants have the opportunity to walk in True Parents shoes and experience all the lessons that the ocean has to teach. 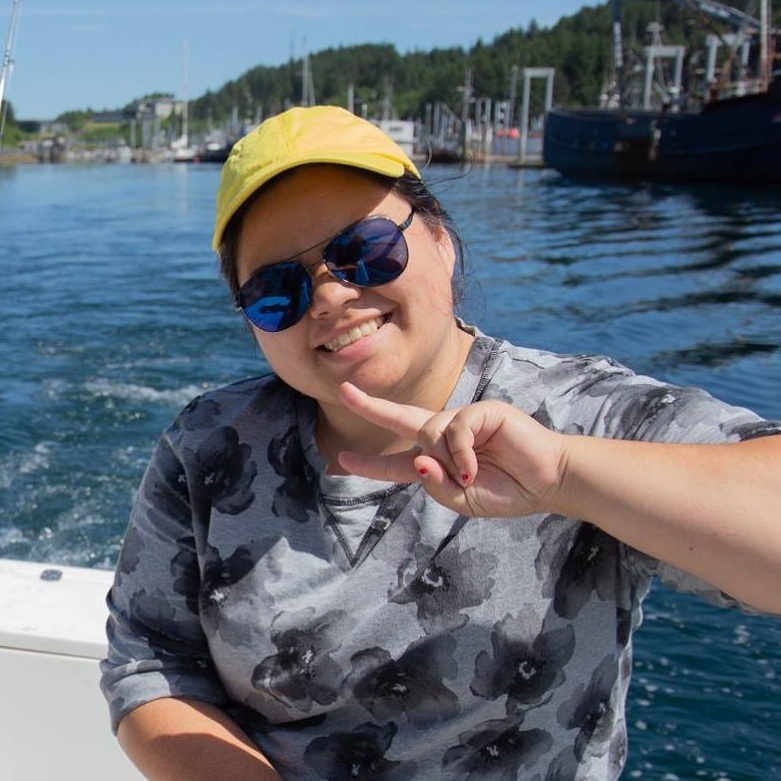 Participants will spend 14 days on the ocean learning the basics of boating and fishing, and how to jig and troll for Pacific salmon, halibut, rockfish, and ling cod. Throughout the program, participants will rotate to each of our four boats, learning unique fishing styles from each of the senior captains and captains-in-training (CIT). Participants will hear stories and lessons from the staff’s times with Father and Mother Moon, both on and off the ocean. Participants will also receive certification on "About Boating Safely" offered by the US Coast Guard Auxiliary and be certified in CPR/First Aid. Other highlights of the program include a camping trip, river fishing, beach bonfires, a service project, wildlife viewing, a Kodiak City tour, and an end-of program fishing tournament - with prizes! There are only 20 participant spots available for 2019 so apply soon! This year we are seeking four team leaders who will work directly with the education coordinator (Tasnah Bercy) to serve as an extension of our staff in an elder brother/sister role for a team of five participants. Prior to NOCP they will join 3-4 1-hour calls to review the schedule, desired educational outcomes, and their responsibilities during the 3-week program. On-site, team leaders will facilitate team bonding activities and lead team sharings each evening, checking in with the core staff after. The goal is to help provide personal care and support to the participants during the program. We ask that team leaders come a few days before the program starts to orient and help prepare (and do some fishing!) and stay after a few days to debrief and connect in gratitude as staff. Team leaders are primarily participants in that they will participate in all the activities and fishing and do not need to have prior Ocean Challenge/fishing experience. However, prior team leading experience is preferred. Each year, four CITs have the opportunity to attend an extended 40-day Captain-in-Training Ocean Challenge program, coming a week early and staying ten days after the program. CITs will be trained in the basics of boat preparation, maintenance, maneuvering, as well as charts, navigation, and fishing techniques. CITs will also enjoy an overnight fishing trip with the senior captains and staff in preparation for the program. During the program, CITs will be paired with a senior captain whom they’ll assist with boat preparation, maintenance, safety, and navigation. They’ll play a key role in teaching participants how set up their tackle and land their fish. On land, they’ll serve as an extension of our staff team, supporting the team leaders, activities, and education. After the NOCP program, CITs will assist in hosting a local Kodiak Community Fishing Day, compete in a staff tournament, learn how to winterize a boat, and conclude with an overnight fishing trip. The first Ocean Challenge program was initiated by Rev. Sun Myung Moon on July 1, 1981. The program was designed to cultivate faith and leadership by challenging participants to spend a summer fishing for Atlantic bluefin tuna. Rev. Moon designed the Good-Go boats, still used today. When Rev. Moon started “Ocean Challenge Alaska” in 1986 in Kodiak, Alaska, he expressed that the Alaskan Spirit was as same as Ocean Challenge Spirit. NOCP has been hosted each summer in Kodiak since 2007. 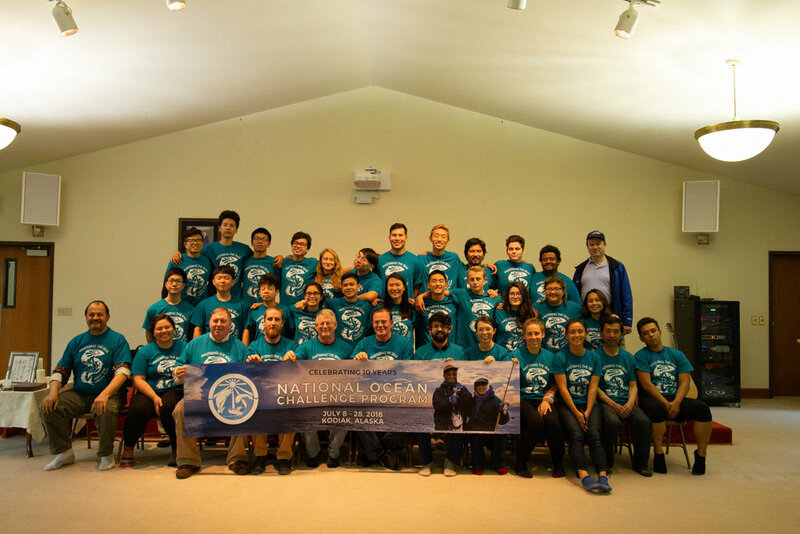 Chris Fiala, Frank Button, and Minoru Kageyama, three veterans of Ocean Challenge, launched a three-week summer program for youth ages 16-35 to give the next generation a taste of the Father Moon’s love for the ocean, fishing, and all that is has to teach.